"Anti Inflammatory Drugs for Dementia?" True Dementia Involves Loss Of Intelligence And Problem Solving Skills. 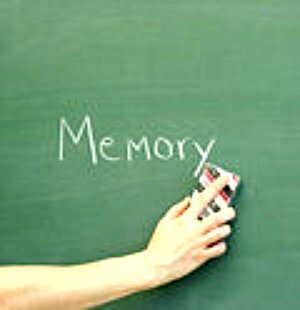 In normal aging, memory loss is usually slow. It may result in forgetting names, phone numbers, or where you put an item. However, intelligence and problem solving skills are Not affected. Researchers have long known that boxers were at a high risk. Playing sports where head injuries are common may also increase the risk, or perhaps cause it to develop at an earlier age. A study published in the British Medical Journal found a significant increase in the risk of cognitive impairment in people over 50 who have been exposed to high levels of Secondhand Smoke. Some studies have shown that people with atrial fibrillation are at higher risk. Possibly because both problems are related to high blood pressure, which could cause heart function to deteriorate so that blood flow to the brain is reduced, starving brain cells of oxygen, and increasing inflammation. Autopsies of people who died with Alzheimer's disease have shown widespread inflammation in the brain. Take Your Omega 3's To Help In The Fight Against Chronic Inflammation. Consuming fish at least once a week was associated with a 10 percent per year slower rate of cognitive decline in elderly people. Lower your cholesterol levels with fish oil. Inflammation research has suggested that people with high cholesterol levels have an increased risk. And Other anti inflammatory drugs may prevent or delay the onset of the disease. Researchers are not sure how these drugs may protect against the disease, but some or all of the effect may be due to reduced inflammation. Another study found that men with high levels of C-reactive protein, a general marker of inflammation, had a significantly increased risk of Alzheimer's disease and other kinds of cognitive impairment. Getting together with friends and laughing can Decrease Their Risk. Scientists believe mental activities may stimulate the brain in a way that increases the person's "cognitive reserve". Borrow your kids or grandkids video games. Remember Nintendo? The new games are even more challenging and fun. And it turns out good for your brain too. Research Shows Working Beyond Normal Retirement Age Might Help. More people are working later these days because of financial reasons. But working and regular exercise keeps your mind and body active which could reduce your risk. Lower your blood pressure. Several studies have shown that blood pressure medicine reduces the odds of cognitive impairment in elderly people. One large European study found a 55 percent lower risk of cognitive decline in people over 60 who received drug treatment for high blood pressure. Inflammation has been implicated for quite some time. Dementia is increased by another common problem of aging, urinary tract and other infections. Inflammation! Lower your risk by reducing inflammation and maintaining good overall health and chances are you won't need dementia treatment.